Are You Ready for NIAF Anniversary Gala Weekend? EICMA is one of the mail sponsor of NIAF this year. It is an acronym fo Esposizione internazionale del ciclo, motociclo, accessori, the most important trade fair event for the entire 2-wheel sector comprising motorcycles and bicycles. Dine with Lidia Bastianich, Peruse a Variety of Italian Goods, and Much More During at The National Italian American Foundation Anniversary Gala Weekend. 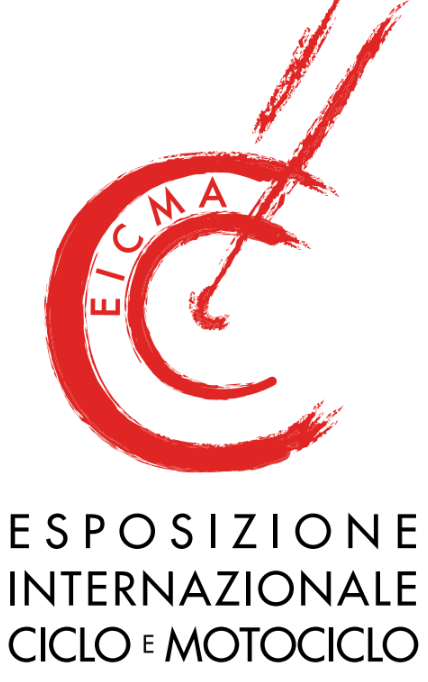 One of the main sponsor of NIAF this year is EICMA (Esposizione internazionale del ciclo, motociclo, accessori). 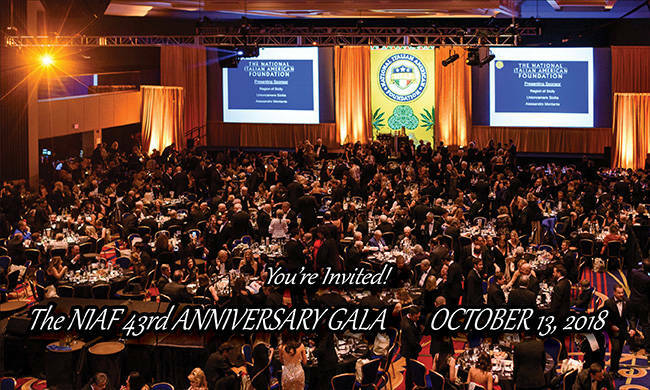 Washington, D.C. (September 20, 2018) – The National Italian American Foundation (NIAF) 43rd Anniversary Gala Weekend will be held October 12-14, 2018, at the Washington Marriott Wardman Park Hotel. The weekend kicks off with a ribbon-cutting ceremony officially opening the NIAF Museum at NIAF’s headquarters, which features historical art and artifacts and digital presentations providing visitors insight into the Italian American experience, including a new exhibit from Italy, Lontane Americhe: Faraway Americas. 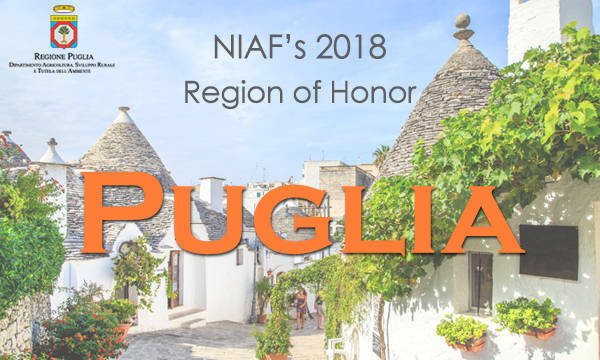 On Friday evening, join Lidia Bastianich, Emmy Award-winning television host, best-selling cookbook author, and restauranteur for an intimate dinner and wine pairings featuring Puglia-inspired cuisine, which is the NIAF 2018 Region of Honor. Bastianich also will be available to sign her latest book, My American Dream: A Life of Love, Family, and Food. Seating is limited. The Expo Italiana, which is open all day Saturday, is free and features more than 60 Italian American and Pugliese exhibitors. Additionally, attendees can visit the NIAF Exhibit of Italian American Culture; see a special presentation on Luigi Del Bianco, chief carver of Mount Rushmore; watch the three grant finalists’ films for The Russo Brothers Italian American Film Forum; learn to speak some basic Italian phrases; and enjoy and a gelato demo and tasting from Gianluigi Dellaccio, owner of Dolci Gelati. The NIAF Gala Reception and Awards Gala is a black-tie event of more than 2,000 attendees toasting a select group of honorees who have contributed at the highest levels in business, science, the arts, and government. and Carl Schramm, an American economist and entrepreneur. Master of Ceremonies is Mark DeCarlo, three-time Emmy Award winner, comedian, and travel and foodie expert. An Italian themed auction features a large selection of high-end offerings, including signed memorabilia, restaurants, and trips. The annual after party features live music and spirited sing-alongs. “The Anniversary Gala Weekend is not only NIAF’s preeminent event promoting and inspiring a positive image of Italian Americans, but it also provides much-needed scholarships to students and funds a variety of important projects,” said John Calvelli, executive vice president of public affairs, Wildlife Conservation Society and NIAF Gala chair. A Sunday Mass, conducted in Italian, will be celebrated October 14 at 10:30am at Holy Rosary Church, the Italian National Parish of Washington. For more information, sponsorship information, or to purchase tickets, visit www.niaf.org/gala. The National Italian American Foundation (NIAF) is a nonprofit, nonpartisan, educational foundation that promotes Italian American culture and heritage. It was founded in 1975 by Jeno Paulucci. NIAF serves as a resource on the Italian American community and has educational and youth programs including scholarships, grants, heritage travel and mentoring. NIAF is also the voice for Italian Americans in Washington, DC and works closely with the Italian Embassy, Italian American Congressional Delegation and the White House. NIAF’s mission includes advancing US–Italy business, political, and cultural relations and has a business council that promotes networking with corporate leaders.